Guyana is moving to update its regulations and law governing occupational safety and health to govern the oil and gas sector ahead of the start of commercial production in 2020, a consultant said Wednesday. 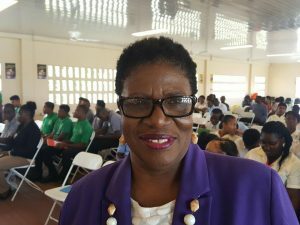 “We are looking at regulations shortly for the oil and gas sector so it’s not a case that we are not doing anything,” Occupational Safety and Health consultant at the Ministry of Social Protection, Gweneth King told Demerara Waves Online News. King said the International Labour Organisation (ILO) would be helping Guyana to update its regulations for the oil and gas sector “to protect the persons who work in the oil and gas sector”. She said the more than 20 years old Occupational Safety and Health Act would also be revised and it is possible that Guyana would examine the provisions of Trinidad and Tobago’s legislation. “We’ll look at oil and gas as we look at that…That is one of our programmed activities for this year,” he said. Sources, however, said the Ministry of Social Protection would still face an uphill task to recruit and retain highly qualified and competent personnel to enforce the occupational safety and health law and regulations. However, King said, “I wouldn’t say that we don’t have; however it is a question of utilizing what we have”. Asked if the personnel are trained, she said “all of that is coming on stream” but the current focus is on getting the regulations in place. The Occupational Safety and Health consultant acknowledged that oil and gas is a new sector in Guyana “so we need to have regulations that are specific to that sector”.